In the shadows of Mount Olympus in Greece, Allied forces struggle to halt the blitzkrieg German advance. Foothills of the Gods covers the German offensive to conquer Greece in 1941. As Feldmarschall List can you drive your 40th Army Korps hard and fast through the mountain passes, around Mount Olympus and seize Athens to secure the southern flank for the coming invasion of the Soviet Union. Or as the resource strapped commander of the Middle East, Gen Wavell, can you hold the passes with your tough, veteran ANZACs and achieve what no Allied army has been able to do in the war so far and stop the Germans. Also covers the 1940 Italian offensive through the Balkan approaches to Greece. Contains 19 scenarios. 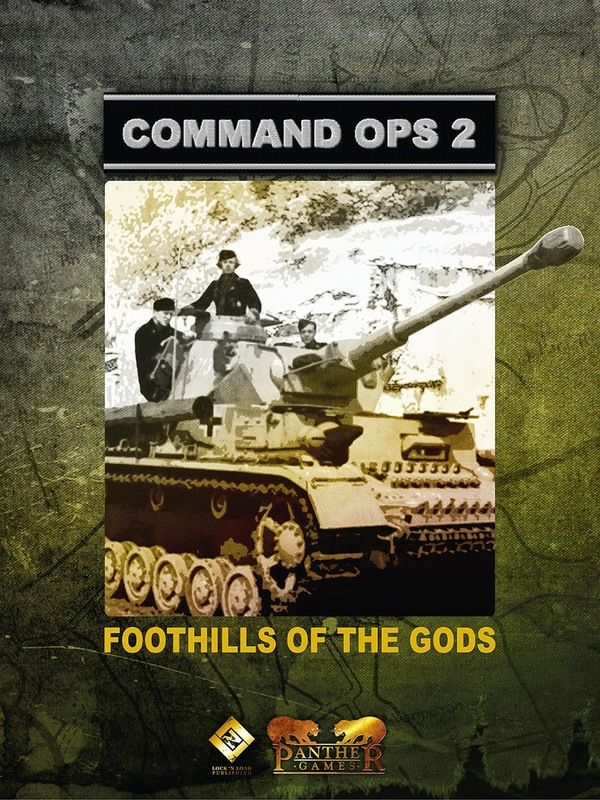 Foothills of the Gods is a data module and requires the Command Ops 2 Core Engine to play it. You can download the CO2 Core Engine for free.